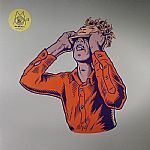 Review: Single LP Editrion: While their 50 Weapons imprint may be winding up, Modeselektor's Monkeytown imprint is still in full swing, releasing all sorts of interesting electronic music lately from producers as diverse as Robot Koch, Omar Souleyman and Howling. This time label head honchos Bronsert and Szary team up with good mate Sascha Ring aka Apparat for another session as well.. Moderat, of course! 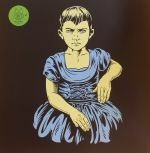 Highlights include the bittersweet and bass heavy pop inflections of "Bad Kingdom" featuring Ring's powerful vocals, the epically future beats of "Let In The Light" or "Ilona" and the upbeat dusty deep house of "Milk". Superb production on display throughout the album and don't forget to check out the killer remixes by Skee Mask and Benjamin Damage (amongst others) available soon as well. Review: Given the hype that surrounded the release of the first Moderat set back in 2009, we can surely expect more of the same for this second outing from Apparat and Modeselektor. Those familiar with the first album's woozy blend of IDM, Thom Yorke indebted vocal dreaminess, porchlight techno and post-dubstep rhythms will immediately feel right at home. Online reviews have focused largely on II's atmospheric warmth, and the way in which the Berlin-based trio seems to have refined their sound. Both are valid critiques; certainly, there's a maturity and musical complexity to the album that betters much of their previous works. It's not much of a dancefloor set, but that's entirely the point; this is locked-in headphone listening for the wide-eyed generation. Next online in 9 hrs 58 mins.